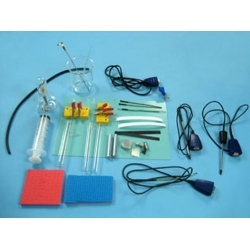 Intended for the demonstration of primary regularities which are studied on the theme “Molecular physics” in courses of physics in basic and specialists level of senior secondary school, to introduce such concepts as internal energy, thermal capacity, transmission, melting and vaporization. The set is intended for operating under the temperature range from +10 to +35°C, relative humidity to 80% under the temperature 25°C. 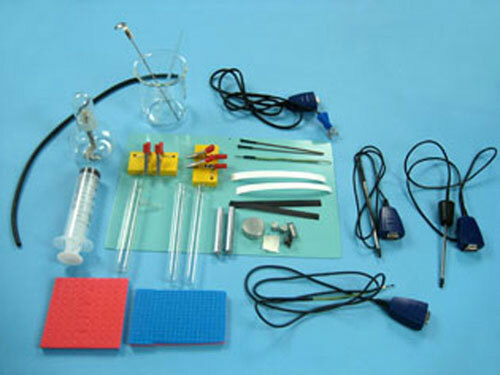 - Test tube with plug. -Black film and white film. -Signal cable with built in amplifier.